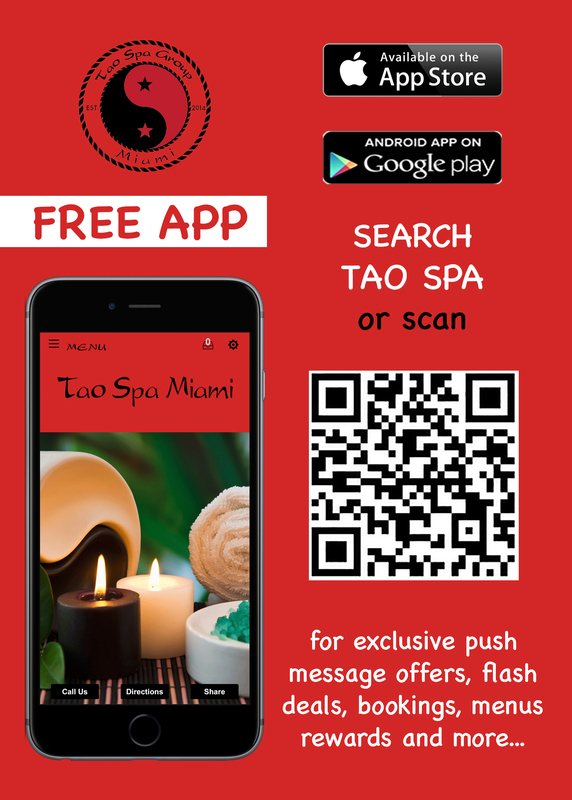 Tao Spa Miami is located on 6th Street on South Beach! Cancellation Policy - We require a minimum of three hours advance notice for cancellations. The treatments you scheduled are reserved especially for you and we require a 50% Deposit to book your appointment. Any cancellations less than three hours from your appointment time will result in forfeiture of your deposit to the credit card used at the time of booking. If you booked online and created an account with booker, you may cancel directly online from your account. ​* We recommend 20% gratuity based on the full value of your massage services received. This is not a mandatory fee, but a recommendation.